Hey guys, so I've been using this technique for a while while crocheting that I call "splitting" where I split a row in half. Not sure what it's really called, but figured that was a pretty decent name for it. 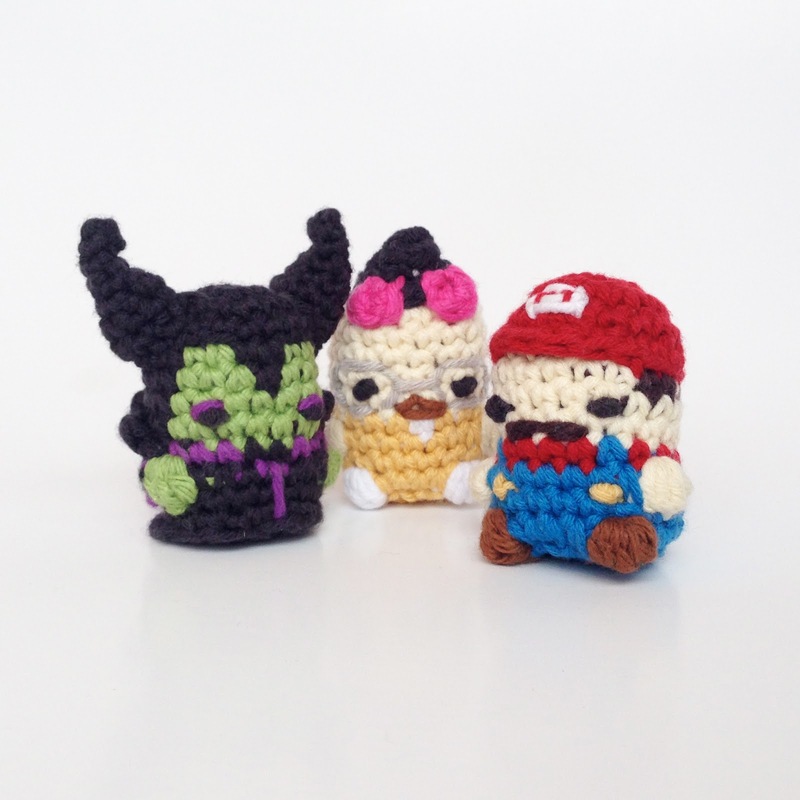 I use it in my amigurumi to make things like hoodies and hat brims, and used it a lot when I made Maleficent here. Anyhow, just thought I'd share it and show you guys how I do that and some things I make with it in a video. I'll probably be coming out with a whole bunch of amigurumi tutorials pretty soon and going to definitely be posting some longer detailed stuff on my Patreon page here in the not so distant future. Is there a pattern for Maleficent? I can't find her on your site. She's my favorite! This is brillant, thanks for sharing your tip!